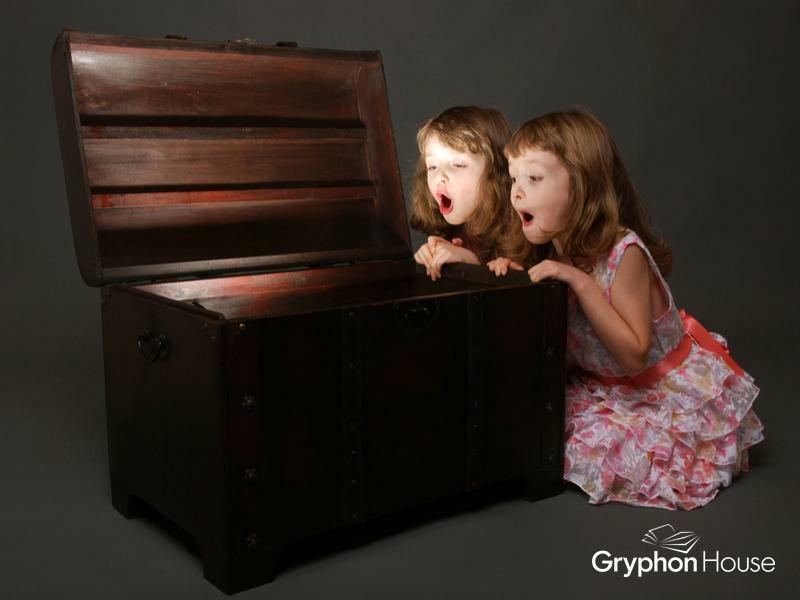 Who hasn’t fantasized about finding buried treasure? The joy of discovery, the mystery of a new and valuable item? What’s not to want?! And children are no exception. Treasure boxes offer children lots of new items to explore and discover, helping them build important sensory skills while letting them stretch their curiosity. The best part? Even the simplest items can be treasures to young children; plastic beads, bits of fabric, simple shakers—everything is invaluable to a little learner! Treasure baskets are a simple part of heuristic play that can be worked into any classroom and curriculum. In her book Treasure Basket Explorations: Heuristic Learning for Infants and Toddlers, Laura Wilhelm outlines the many benefits of treasure baskets and offers tip on how to create your own baskets for your little ones. So how can these baskets aid in development? New objects provide children with many ways to explore and examine the world around them. When handed a box of toys or other objects, they can begin by looking at the box all at once or taking each item out individually and examining it. These examinations might increase awareness of cause and effect: “When I throw the spoons on the ground, they make a clanging noise every time!” Exploration also allows children to draw their own conclusions about an object: “If I put the wooden figure in my mouth it tastes bad. It must not be for eating.” All of these connections and decisions help build cognitive skills and leave your child more prepared to take on the world. Treasure baskets are the perfect opportunity to introduce new sensory stimuli to your child. The baskets can be filled with interesting textures, such as bits of lace, sponge hair curlers, giant pompoms, or kitchen whisks. Other items might make new sounds; crinkly tissue paper, wooden drumsticks, seashells in a bottle, and tuning forks present an orchestra of new sounds for children to listen to. The treasure baskets can be separated by senses or can have items that appeal to every sense, from texture, to sight, to sound, and even smell. These new stimuli will encourage exploration and aid in the development of sensory awareness. Before our children learn to talk, it’s hard for us to get a grip on who they are and what they like. However, watching your baby explore new items can reveal a lot about his personality. Does he take one item out at a time and investigate it thoroughly before moving along? Or does he pull out several items at once? What’s his first instinct—to put it in his mouth, to shake it, or to feel it? These simple reactions provide brief insight into how a child thinks and acts, providing clues for who he will become. Just learning more about your baby is exciting and rewarding, and treasure boxes make an excellent catalyst for this discovery.